Â Color Â Over 300 colors for choosing. Color matching available. 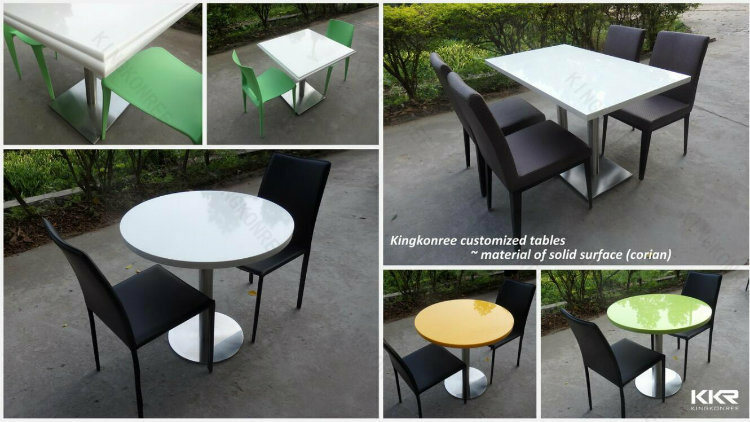 Â We can custom made according to customer' s request. 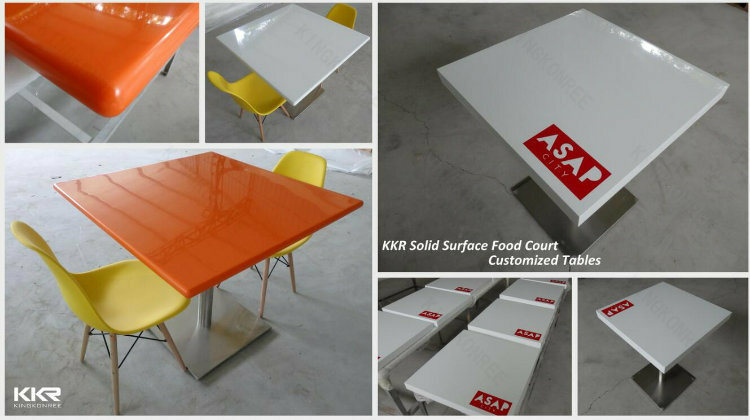 We have about 300 color design for your selection; Also we can match color with solid surface samples from other brand like LG Himax, Staron or else. *Environmentally friendly renewable and repairable. Approx. 20 table tops be fit in a 18mm plywood carton , with pallet leg underneath, easy to load . 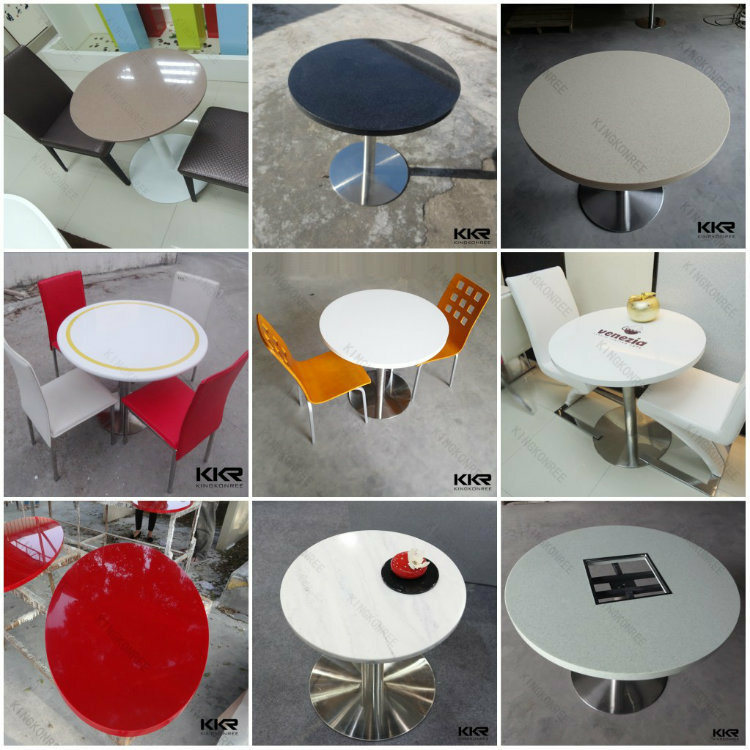 KINGKONREE(KKR) is one of the top and biggest manufacturers of solid surface and quartz stone products in China with CE&SGS approval. More than 15 years producing experience, 100% targeting export. 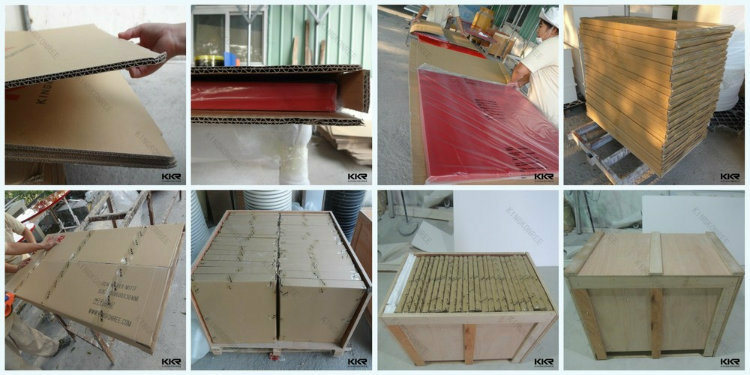 KKR plays a very important role in artificial stone field. Since 2000, KKR has exported to more than 107 different countries and regions. KKR has finished many hotel projects, such as the Sheraton Hotel, Novotel Hotel, Shangri-La Hotel, Hilton Hotel etc. After years efforts, KKR has got a good reputation in artificial stone field. We will keep striving for customers' satisfaction and try our best to develop win-win cooperation with our partners.